This book is about a group of ladies, that each have their own issues (cocaine, obesity, hooking, stripping, unfit parent, etc) and ultimately one of the friends chooses to take her own life, to escape the never ending battle. It almost seems like each woman has accepted their fate with not really wanting to change their life for the better, not just for themselves, but for their children as well. Yes, one speaks of moving to a different mobile home park, but it is just talk.....well you can want a Lamborghini, but that doesn't mean you are going to get it, especially without the proper steps. The narration was beautifully done by Lindsey Corey, who does wonderful voices for each character. I did not feel like she was reading the book, but really acting the character, which was so refreshing. We all receive money, but how do we go about using it in our daily lives? 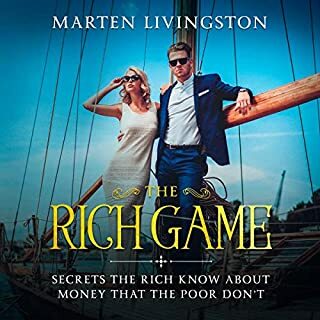 This book is here to guide you on what the "rich" man uses to continue gaining wealth, while the average and poor continue to struggle. You will have a complete plan that reveals all the secrets of the wealthy and, by then, you will understand that what really counts are the little things we do. This book was one that did not catch my attention, as I feel that each 'advise' was just common sense (save, set up a plan, budget, etc). The wow factor was just missing throughout the whole. To make it even worse was the narration. This was absolutely horrible, with background noise, duplicated words, mouth clicking from dry mouth, volume up and down with no consistency, and the tempo was so fast that was just unnatural. Such a shame people do not have pride in their work and just submit crap and think it is done. If you are going to do a job, give it your best and do it right and by God, listen to your work before you submit it. Millions of people struggle to find the secret key to weight loss and maximum performance. 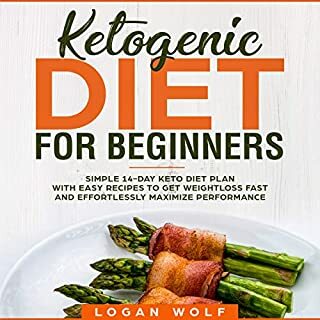 With a step-by-step strategy, this book provides a complete 14-day plan to jumpstart your ketogenic diet. Learn to feed your brain the fuel it craves, and ignite the limitless you. Basic book on this diet. I downloaded this book with the thoughts in mind that I need to get back into shape and can stand to lose a few pounds. This gave a quick overview of does and don'ts and even some recipes to help with the process. This book inspired me to do more research, of which I have ordered a few addition Keto cookbooks, fat bomb books, etc and have already seen such dramatic changes in my weight, energy level and my mental capabilities. Inside each of us are seven major energy centers that hold the key to our happiness, sense of ease, and well-being. Research on chakras dates back thousands of years across numerous spiritual traditions. Acupuncture, yoga, reiki, crystals, essential oils, and meditation are among the many methods used to awaken and balance chakras. Great for Chakra fine tuning. 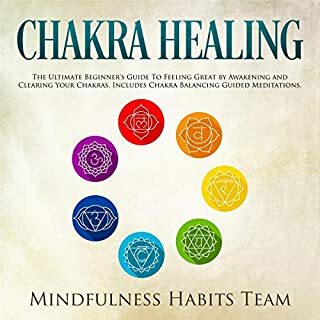 This book was very well written and breaks down each chakra, what it does and how to unblock it. Even though this is a short book (3hrs), it is not rushed at all, but instead very precised and to the point on what the issues might be causing the blockage, in a demeanor that can be understood. As I am a beginner with this, this book was fantastic for me and one that I feel I will need to purchase the hard back, so that I can reference it as needed. Grace Kelly only graced American film screens from 1950-1956. She came from a line of successful individuals, and her short career was no exception; she starred in numerous films, worked with legendary director Alfred Hitchcock, and won an Academy Award. She also won the heart of the Prince of Monaco, whom she wed in 1956. She reigned as a philanthropic princess until her dramatic death on a winding Monaco street in 1982. This biography serves as an introduction to her life and legacy as a film princess. I absolutely loved this book! 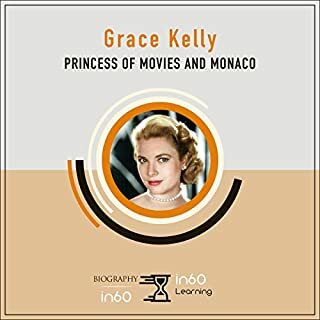 I really did not know much about Grace Kelly's life prior to listening to this book, but the quick snap shot of her life left me with admiring this beautiful (inside and out) lady even more. I have always admired those who give back to the community and know that the world is much bigger than just themselves. Such a shame that she left the world much too soon. This biography was very well done, from the moment of his early birth, to his and everything in between. I enjoy listening to biographies because not everything is always what it seems and it is good to know that no matter who you are, you will have life challenges. One of Luther's constant battles was with his weight. Always turning to food when he was under anxiety and stress. I am sure that him being a closet homosexual and being found out about, also weighed heavy on his mind, as during this time period it was not as accepted as it is now. Another one of Luther's battles was to be in control over everything and when he didn't get his way, he would act like a child and make it miserable for band mates, as well as those who were touring with him. I had to chuckle to myself when En Vogue had given him the name, "Lucifer" (not flattering and basically insulting, but I guess if the shoe fits). It went so far with his temper and communication skills that his drummer committed suicide. I also learned of his auto accident that led to the death of Larry Salvemini. 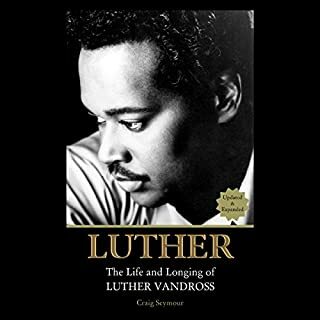 This book was very well done and shared the good and the bad of this R&B Singer and his goal and dream of getting a #1 hit. The narration was wonderfully done and you can almost hear Luther as David Sadzin spoke...Great job! 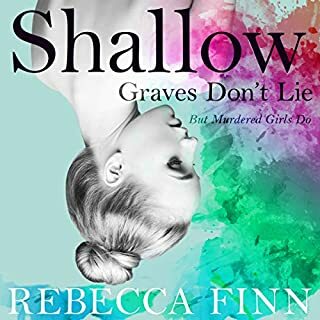 Susan knows she shouldn’t get involved in the murder investigation, but as her best friend’s lies and secrets emerge, they pull her along a twisted and dangerous path. As Susan begins to dig deeper, it triggers new clues that make her realize she never really knew Ally at all. 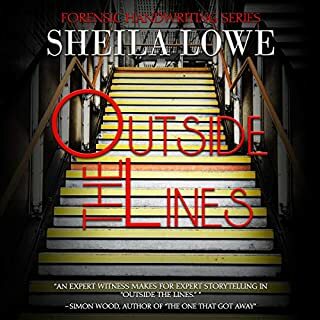 Each fragment of evidence propels Susan to keep searching, but a strange thing starts to happen. She starts to see her dead best friend in the mirror. This book was very unusual and I had a hard time following at certain points. When Alysia's body is found, it brings up so many questions that friends and family want to know. Susan, Alysia's best friend, comes to the realization that she really didn't know her best friend at all, which I think leaves a hole in heart, but she continues to press on, trying to solve the mystery of why Alysia was killed and who actually did it. Then another crazy point is her father......do we truly know those around us? This is one of those books that you will mark as a "favorite" and refer back to many times throughout your lifetime. My first expectations was that this was going to be about male/female relationships, however, I was pleasantly surprised. 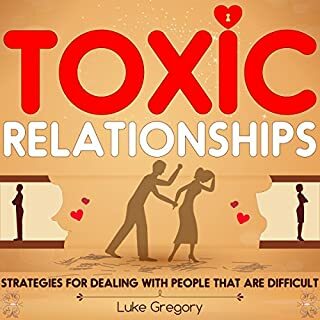 This books pretty much deals with every type of person that you will meet in your daily life. This book is wonderfully done and explains what the person is exactly doing, as well as solutions for each scenario. As I was listening, there was even examples that folks might encounter that had never crossed my mind, however, I feel that it is important to be prepared for when these scenarios arise. Narration was also done wonderfully...not too fast, but not too slow either....Great job! We have all had that kind of relationship where we wish we could go back and do things over. When Remi's boss gets let go and a her new boss is introduced to her, she literally cannot help but feel the hatred welling inside. It just so happened to be her old friend from grade school, Justin Hayes, who absolved their friendship when she needed him most. The pain that she is experiencing again by him coming back into her life is something that she is having a challenging time dealing with and when Blair, the owner of a VR empire wants them to work on a project to revamp her business and flies them out to Hawaii to say at her "compound". Sparks (good and bad) start to ignite and refuels the energy that both of them feel.